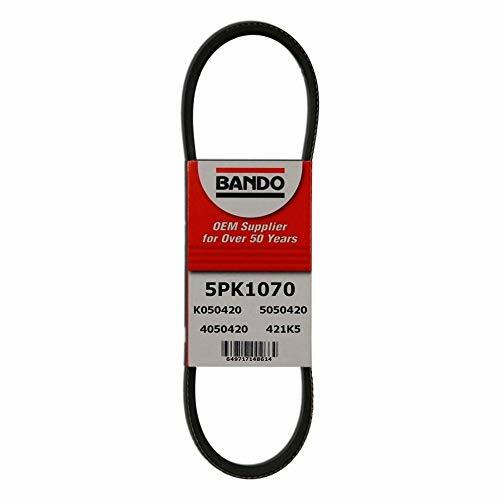 Save 1% on the Bando 5PK1070 OEM Quality Serpentine Belt by Bando USA at Zona Indonesia. MPN: 5PK1070. Hurry! Limited time offer. Offer valid only while supplies last. Bando has been manufacturing rubber products for over 100 years. Bando is the OEM suppliers to over 80 percentage of the top 10 cars sold in the U.S. If you have any questions about this product by Bando USA, contact us by completing and submitting the form below. If you are looking for a specif part number, please include it with your message.